How's it going Florence? I'm doing fine. Get out a medium or large saucepan. You'll want something with a depth of at least 3 inches because that how much water you'll be using. I've seen recipes say to use a 1/2 cup to a full cup of water. I prefer the 3 to 4 inches of water measurement. Add a pinch of salt and bring the water to a boil. As your water is heating up, let's crack your egg. The way to go here is to break it into a shallow cup or bowl. A coffee cup will do fine. We're doing this for two reasons: 1) We don't want to break the yolk and 2) we don't want any funky eggs. 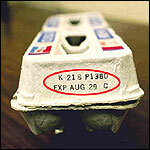 Before you add the egg to the water, reduce the heat of your water so it is right on the edge of not boiling anymore. (If desired, add 1 or 2 teaspoons of vinegar to the water. That will help the egg whites hold their shape.) Now, gently... gently Florence... ease your egg from the cup into the water. Just let it slide out. This is the fun part. I love watching poached eggs cook. They look like little floating angels or ghosts. Those flowing strands of white are nothing to be worried about. Just sit back and watch the magic. 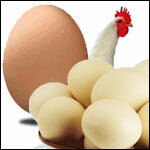 The amount of time you leave it in the water depends on how firm you want your yolk. Generally speaking, it's 3 minutes for medium firmness, 2 minutes if you like them runny, and 4 minutes if you like a firmer yolk (like your friend Mr Breakfast). You'll want to scoop out your egg with a slotted spoon so it can drain. Even if you like your yolk runny, gently finger-touch a thicker part of the egg white to make sure it's firm, as you lift it from the water. If it's not, sink it back in the water a little while longer. Spoon your egg onto a paper towel and gently... gently Florence... also pat the top of the egg with the sides of the towel to remove the excess liquid. Some people might advise you to cut the edges of your egg to make a perfect circle at this point. Those people are crazy. The paper towel will retain any loose strands of white and your egg will be shaped just fine. Now spatula that tasty poached egg onto your plate or on top of a waiting piece of toast and eat the heck out of it. While reviewing poached eggs to write this, I made one simply seasoned with Lawry's Seasoned Salt and a couple loose peppercorns. It was delicious and reminded me how wonderful poached eggs can be. So there you have it Florence. I know you'll have fun poaching your own. Let me know how it goes. In the years since I first answered the question above, I've started using a slight variation on that method. Thanks to some advice from Julia Child, I'm able to make beautiful poached eggs without using vinegar. Granted, you usually can't taste the vinegar, but if you do, it can ruin certain dishes. 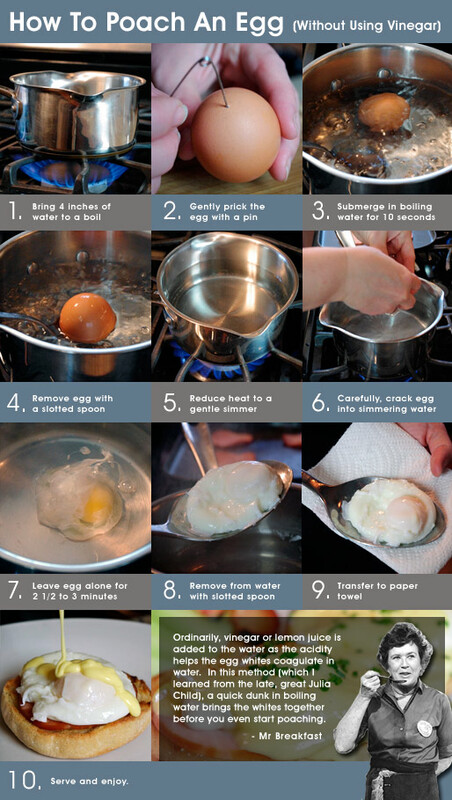 The trick to this method is pricking the eggs with a pin and boiling them in the shell for just 10 seconds. The outermost portions of the egg whites start to coagulate before you even start poaching. 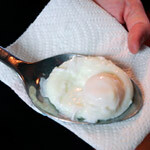 The result is wonderfully shaped poached eggs with no random strands of hanging egg white. I still transfer the finished egg to paper towels to remove excess liquid and the rare hanging strand. After reading the column above, Chef Phil C. wrote in with some advice for poaching multiple eggs. "First of all I rarely poach less than 4 or 6 eggs at once. Not a trick, just happens to usually be my guest load. That being said, I start with a deep pot and at least a gallon of water (6 - 7 inches deep) I add a half cup of vinegar which helps the egg whites solidify." "Bring to a boil and turn down to a simmer, then stir the water briskly to form a vortex. Slip eggs one by one into the center of the pot (adding each new egg after the previous one has turned white and migrated to the sides. As individual eggs begin to float they are almost ready". "I then take them out and keep them on a deep dish with a little warm water. When it's time to plate them slip them back into the simmering water for a few seconds to warm (and finish cooking) and plate!" Thanks for the great tip Chef Phil! 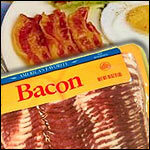 Denise S. who works at a Bed and Breakfast in Charleston, SC wrote to us with another way to poach eggs. "Line a coffee cup or soup cup with a piece of clingy plastic wrap. Drop your egg carefully in the plastic and bag it up like a goldfish. Twist off the end and drop that puppy in boiling water for three minutes. Then pull out with a big slotted spoon and place on a plate. Unwrap the plastic and roll your egg out. BAM!! Beats the old way every time." Cheryl S. wrote in saying that she'd tried Denise's poaching method above but ran into the following problems: "1) The egg white sticks horribly to the plastic. By the time I scraped off what I could, I had a yolk and a few little chunks of white; 2) I had to hold the little pouches while they cooked, so the extra plastic gathered at the top wouldn't touch the pan and melt." Thanks for the great note Cheryl!